Dates have been set for two work parties, our Spring Meeting, and our Open Days in the coming year. There will be more information about each of these nearer the time, but for now here’s the basic information for your new diaries. All volunteers are welcome to help at these work events, and we are very grateful for all hands. Sunday 16th March – bracken and bramble clearing from the churchyard at St Mary’s Churchyard, Tintern. Thursday 10th April, 7 pm. 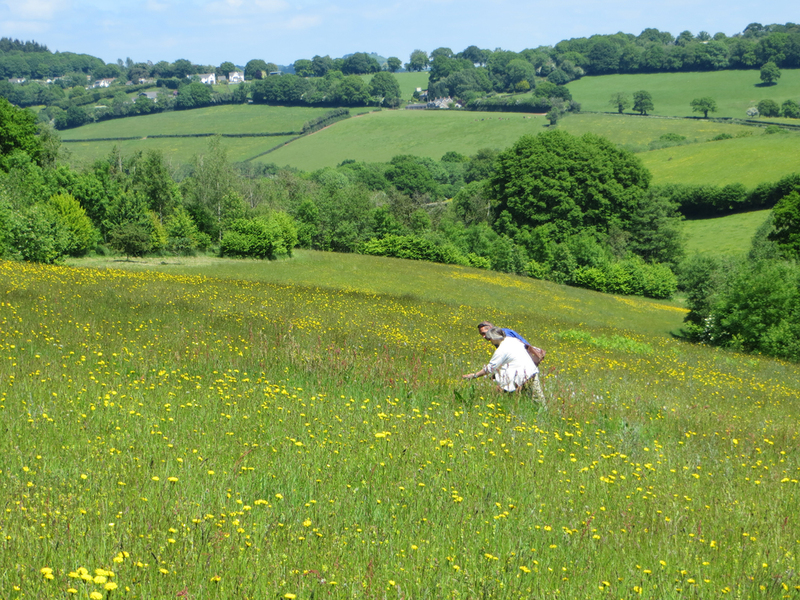 This year our meeting will be held at The Babington Centre in Trellech, where we have been helping the trustees to convert their grounds to flower-rich meadow. The main speakers will be George Tordoff from Butterfly Conservation Wales and Mike Kilner, Gwent spider recorder. We’ll have news of our past year and future plans, and plenty of chance to chat with other meadows people. This spring we are adding a Bioblitz to each of our Open Days. Anyone can take part, helping to identify and record species found at the site. Or you can just come and enjoy the meadows. 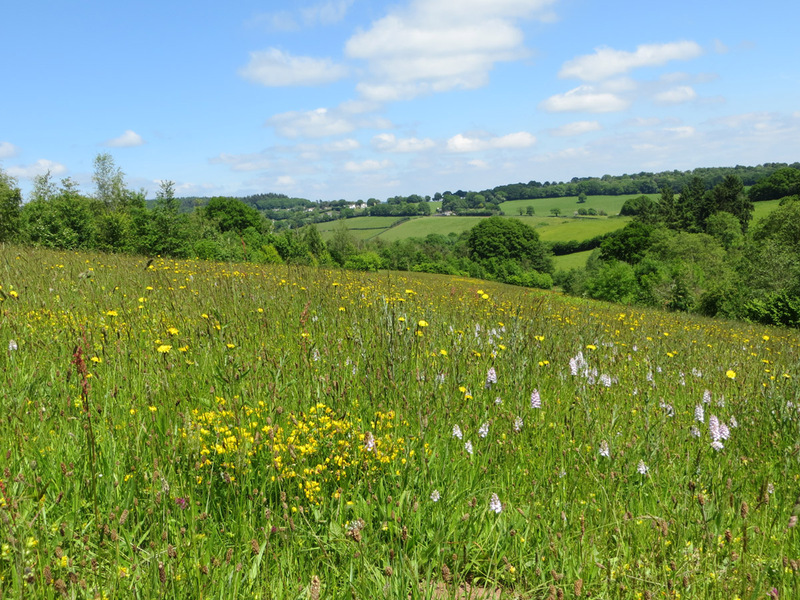 Sunday 15th June: our Open Day/Bioblitz will be at Kingcoed Farm, Usk NP15 1DS, where the fields are owned by Tudor and Rachel Morgan. Many thanks to Paul, Alex, Simon and Rachel for accommodating us this year.